On Sunday, November 5, 2017, Stay-Focused alumna, Emma Albert, who learned to SCUBA dive with Stay-Focused in 2015, served as a Grand Marshall at the 2017 TCS New York City Marathon. 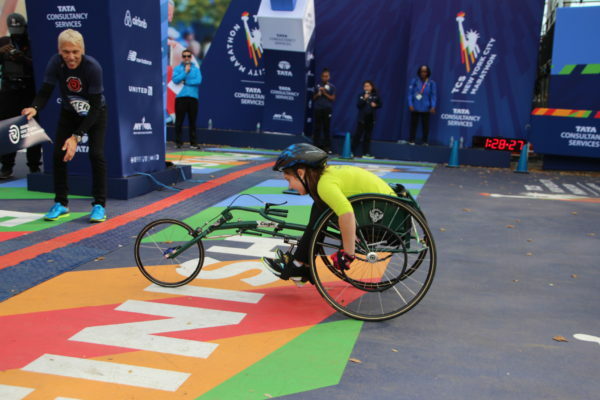 Emma, who has taken an interest in wheelchair racing, is a member of the Rising New York Road Runners Youth Ambassador program. The program is centered around a six-week speech fundamentals and public-speaking training workshop that helps participants improve their presentation and communication skills by speaking at special New York Road Runners events. Congratulations to Emma, who won her 1600 meter race on Friday, November 3rd. Here’s a quote from Emma from the Press Release about the 2017 Grand Marshalls from NYRR. “Racing has impacted my life in such a positive way, and I am looking forward to continuing this program at the TCS New York City Marathon, as well as many other events this upcoming year. 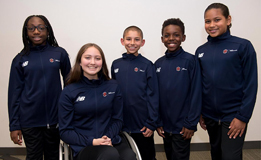 I am extremely grateful and humbled that the New York Road Runners had faith in me to represent them as a Youth Ambassador as well as allowing me to be a part of their Youth Racing Program, where I have had the privilege to meet many other inspiring individuals. 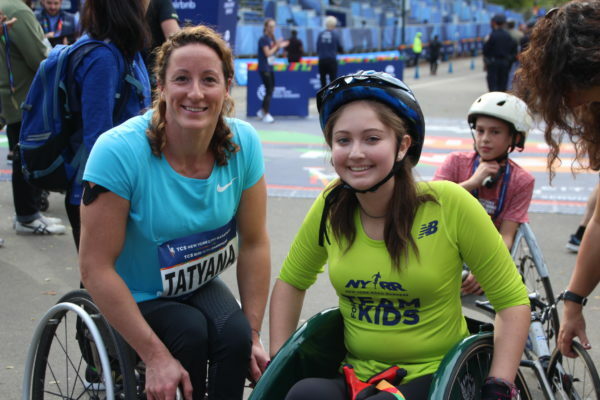 I hope to continue to grow and push myself as a racer and someday possibly compete in the TCS New York City Marathon and many other races around the world.” -Emma Albert, 14, from The Beacon School in Manhattan. Emma Albert crossing the Finish Line in her 1600-meter victory. Emma Albert with fellow Stay-Focused alumna (and highly decorated Paralympic athlete) Tatyana McFadden.